Thanks for the tut Michelle! Can't wait to cut up those jelly rolls/bali pops in the cabinet!! Thank you for the great tutorial. Needed some more ideas for all the 2 1/2 strips I have stacked up! My jelly rolls linger in my fabric cabinet too. 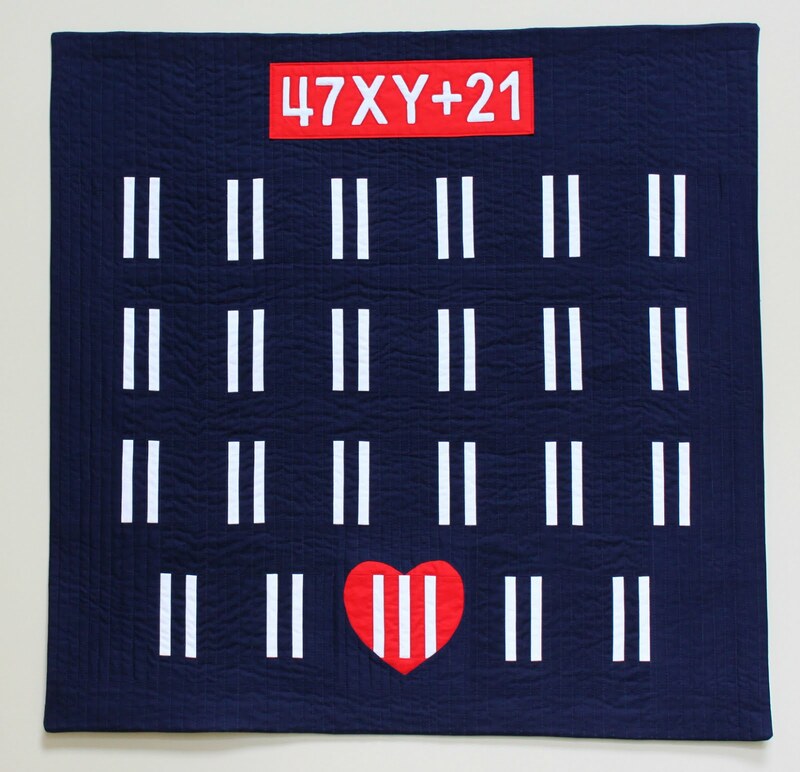 This is a cute quilt and I have the perfect fabric to use in it. Thanks for the tutorial! What a fun quilt pattern, thanks for the tutorial! I love this design! This is my first visit to your blog. I found you through Quilty Habit. Thanks for the great tutorial! I just finished making this quilt top. I am not sure why it says to cut 1/2 in off the bottom of row's A and the tops of row's D. If I hadn't, my rows would have been more even. Now I have to trim the bottom and then trim the top to match. The A's and E's have one fewer seam than the other columns (7 instead of 8), which means they're longer than all the other columns. I had better luck with my quilt when I trimmed before sewing the columns together, but trimming after the fact is fine if you keep the length discrepancy in mind. 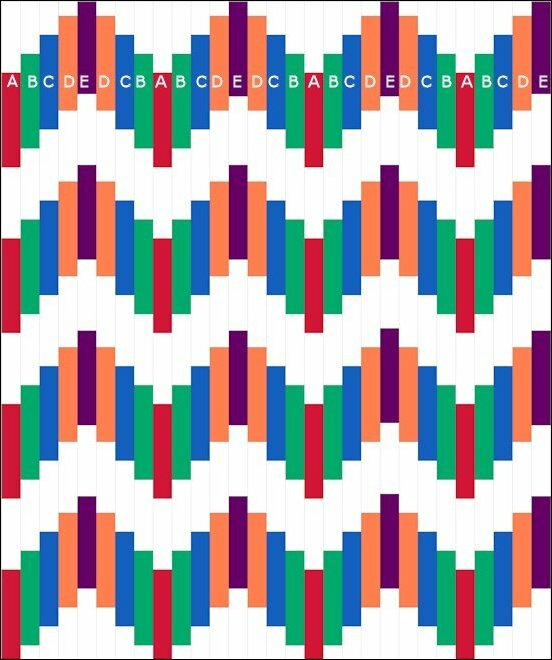 Is this pattern available in PDF form? I would love to print it out so I can check off each step as I finish it. I don't really want to sit write everything out. Thanks in advance. I would love to have pdf as well. Thanks in advance if possible! 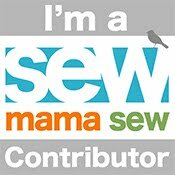 Currently, all of my tutorials appear as body copy here on my blog, on Sew Mama Sew, or on the Moda Bake Shop. Perhaps in the future I'll offer them as PDFs. If you want to print this tutorial out and printing directly from the browser isn't producing anything pretty, try copying and pasting the body copy of the tutorial into a Word document and print. You can just hold your mouse down pull it from the top to bottom of the article, paste in word and there you have it. You can reduce/enlarge pictures as well. 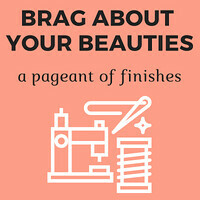 Do it all the time and it works! U mention u used fat quarters instead of jelly roll strips as well. R there cutting instructions, pattern for that version? Thanks so much for providing all u do! Oh how fun Michelle! 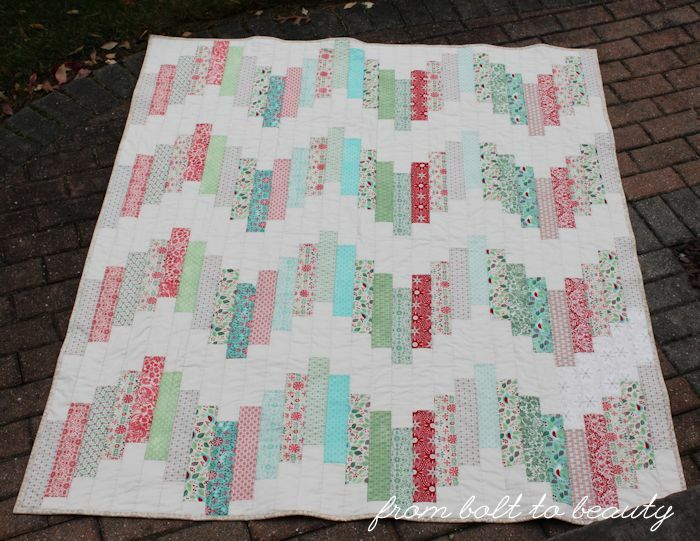 I love a ridiculously easy, yet terrific looking quilt like this one!